To all Fire-Rescue personnel. The Health Department is providing free H1N1 flu vaccinations to Fire-Rescue personnel at the South Lemacks Street location. Any volunteer personnel wishing to receive the vaccination can stop by the Health Department between 0830 and 1630 Monday through Friday. A roster has been provided to the Health Department, so they should be able to verify department members with little difficulty. Stations 1 and 27 responded to an over-turned truck on Beach Road just off of Sniders Hwy at 1615 Saturday 28-November. The vehicle was being chased by Sheriff’s Deputies when it lost control after making a turn onto Beach Road. The 20 year old driver self extricated prior to the arrival of Fire-Rescue. The man was in the custody of Law Enforcement and refused medical treatment or transport. Firefighters secured hazards at the scene and stood by until the vehicle was righted. Click here for more information. 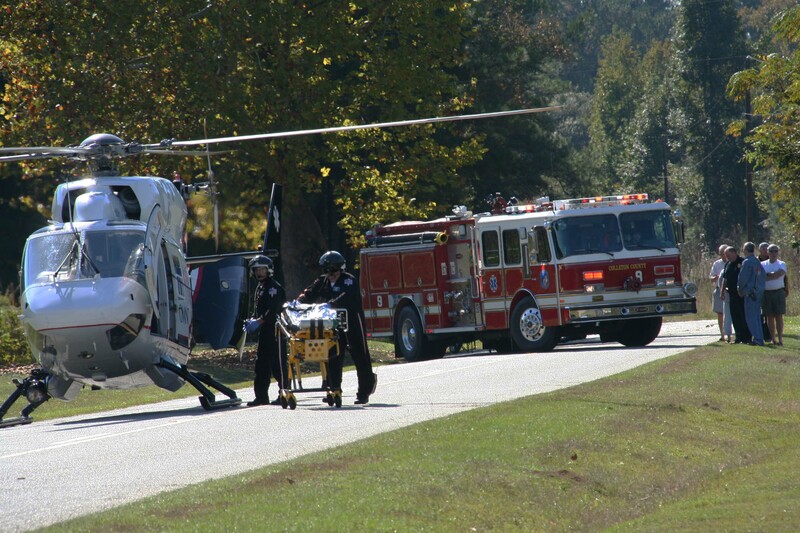 11/28/2009- Motor Vehicle Collision with Entrapment/Air Evac. Stations 1 and 19 responded to a single vehicle high speed MVC on Sidneys Road near Danville Lane Saturday morning 28-November at 0132. An northbound older model Ford pickup truck failed to negotiate a curve. 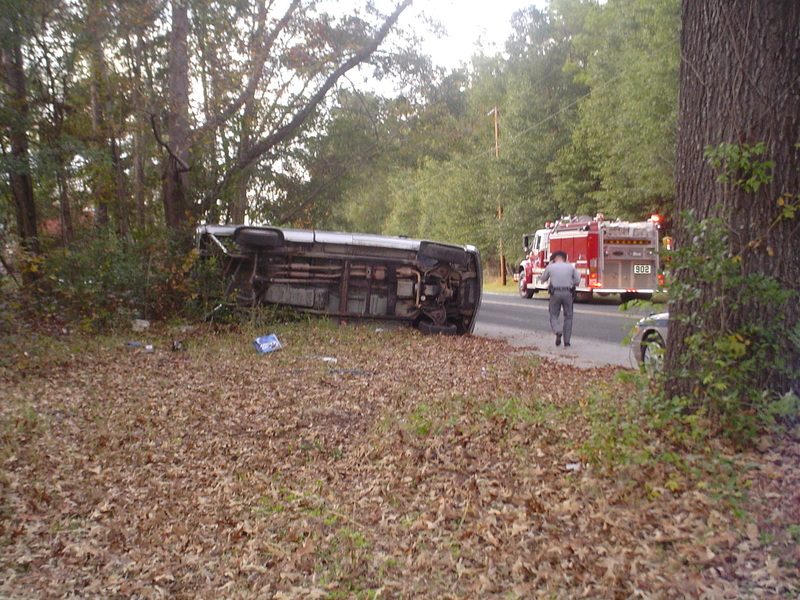 The driver over-corrected, lost control, struck several trees and overturned in the southbound ditch at a driveway. 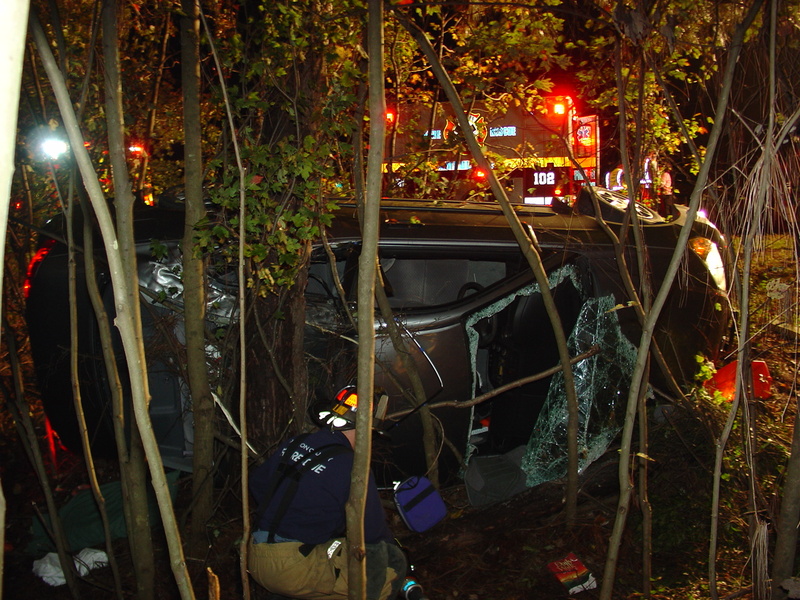 A single occupant was found trapped in the vehicle. Firefighter-Paramedics were able use hand tools to gain access to the man. Click here for more information. 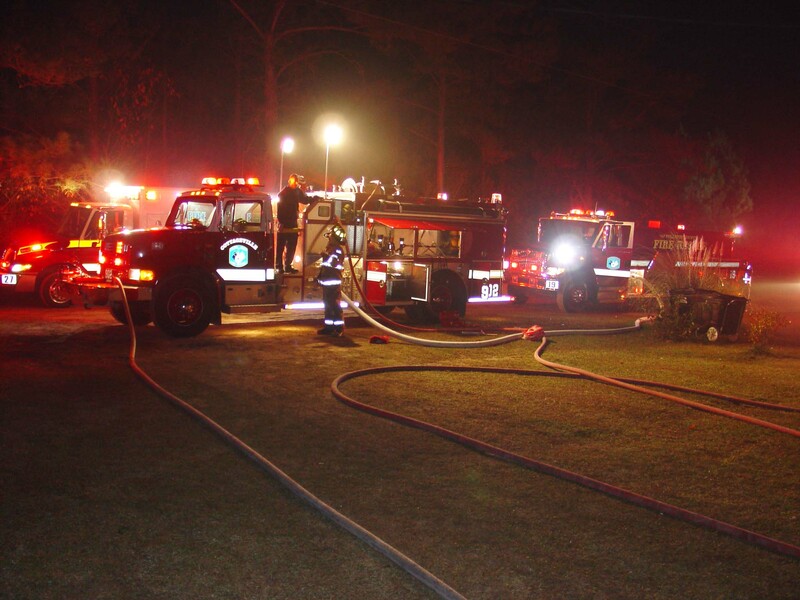 Two structures fires occurred within minutes of each other Friday evening 27-November. The first fire was received at 2055, sending Stations 1, 12, 19 and 24 to a structure fire at 710 Weslegacy Lane. Engine 1 arrived to find light smoke coming from a doublewide mobile home. Firefighters discovered electrical wires arching under the structure, which had ignited insulation under the floor. 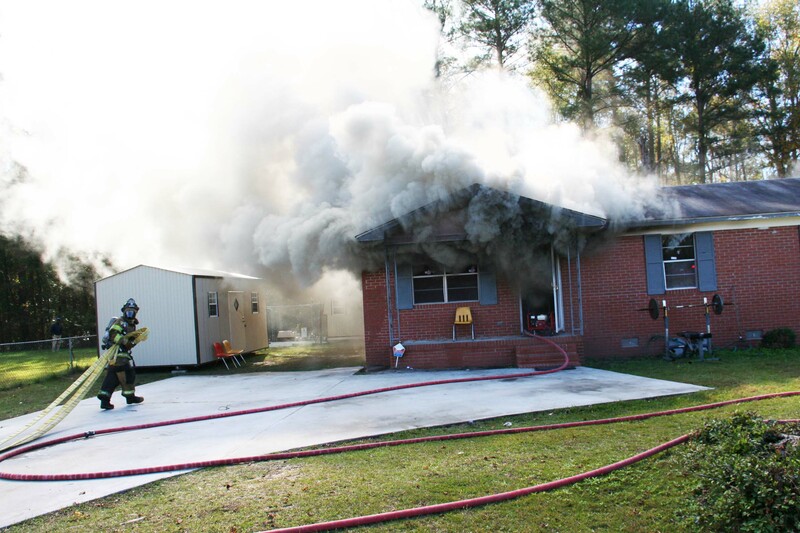 A crew was sent under the building with an 1-3/4 handline, while a second crew entered and searched the mobile home. Click here for more information. Stations 1, 8, 9 and 27 responded to a two vehicle accident in the 4700 block of Hendersonville Hwy at 2151, Wednesday evening 25-November. A south bound Ford pickup collided with another south bound pickup truck as it was passing the vehicle. 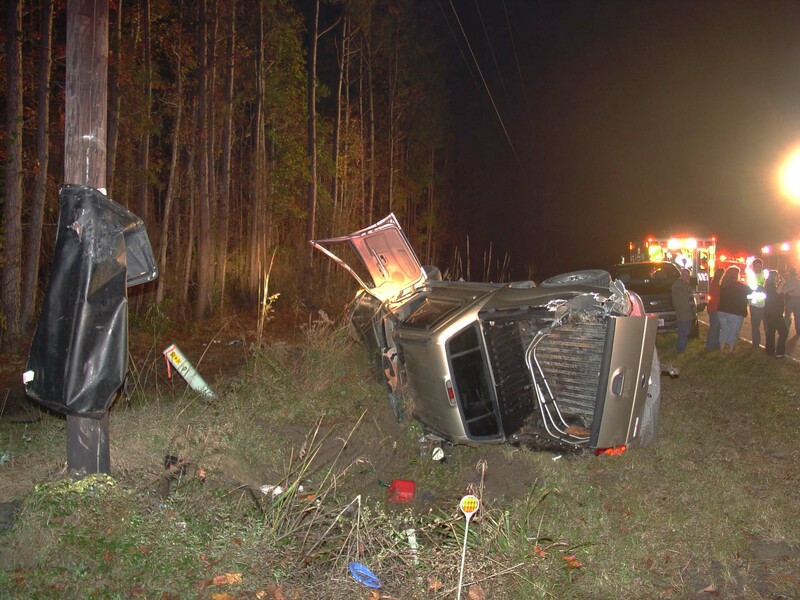 The first truck left the roadway at a high rate of speed, entered the ditch and flipped over several times before striking a driveway and utility pole. The vehicle received heavy damage. Click here for more information. Tactical Response Team personnel trained in conjunction with the countywide drill night at the Elks Lodge in Walterboro on Tuesday, 24 November. 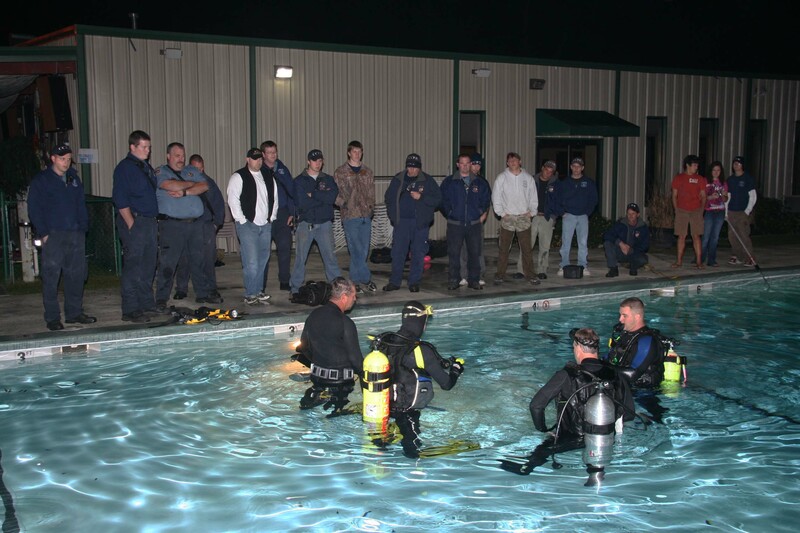 Personnel reviewed water rescue procedures and personnel present practiced retrieving bullets from the bottom of the swimming pool. Personnel who were not divers practiced tending taglines and utilizing the underwater camera to conduct searches. Click here for more information. Stations 1 and 26 responded to a high speed, single car MVC on I-95 at the 52 mile marker northbound on Monday, 23-November at 23:50. The driver apparently lost control during a light rain, before spinning around backwards and entering the woods. The small Honda rolled onto its side before impacting several trees causing heavy damage. A rear passenger became entrapped when her hand was crushed between the roof and door. Click here for more information. Our condolences go out to Battalion Chief Brent Dalton for the death of his grandmother, Mary Clark. The viewing will be held Wednesday at 12:00 PM with the funeral to follow at Elmore Funeral Home, 221 Broad Street, Sumter, SC 29150. Please keep Battalion Chief Dalton and his family in your thoughts and prayers. 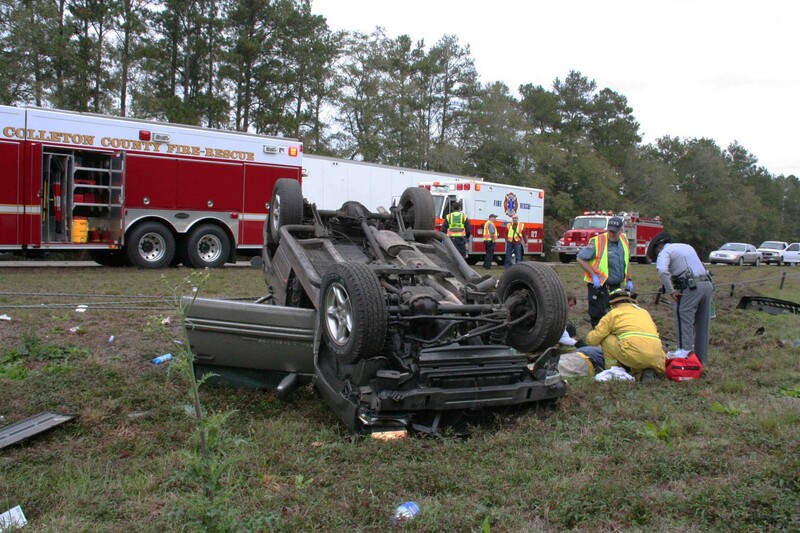 Stations 1 and 27 responded to an overturned vehicle on I-95 at the 51 mile marker southbound at 1045, Sunday 22-November. The driver lost control, entered the median striking the cable barrier and overturned. Initial reports indicted the man was trapped, however, firefighters were able to gain access to the interior with hand tools. The 53 year old male received non-life threatening traumatic injuries. Click here for additional info. Stations 1, 26 and 27 responded to a tractor trailer MVC on I-95 at the 60 mile marker southbound at 0814, Tuesday 17-November. A southbound refrigerator tractor trailer struck another southbound tractor trailer in the rear, causing the driver to lose control and veer off the right hand shoulder. The truck crossed a ditch and drove into a wooded area, uprooting several large pine trees. Click here for more information. Stations 10, 13, 15, 18 and 23 responded to a structure fire at 2780 Polk Road in the Islandton Community at 1414, Monday afternoon 16-November. Engine 18 reported light smoke conditions on arrival, with smoke exiting from the eves. Further investigation revealed the fire originated in the kitchen from a grease fire and extended to the attic. The grease fire had been extinguished by the residents prior to fire units arriving, however the fire continued to burn in the attic. Click here for more info. Congratulations to Firefighter/EMT Chris Elrod and wife Amy on finalizing their adoption of Madison Arabella Elrod - (3&1/2 years old) and Mason Alexander Elrod (3 years old) on November 6th. They've cared for Madison since she came home from the hospital January 3rd 2006 and Mason since November of 2006 at 5 weeks old. The adoption took three years to finalize and bring the children into the Elrod family. 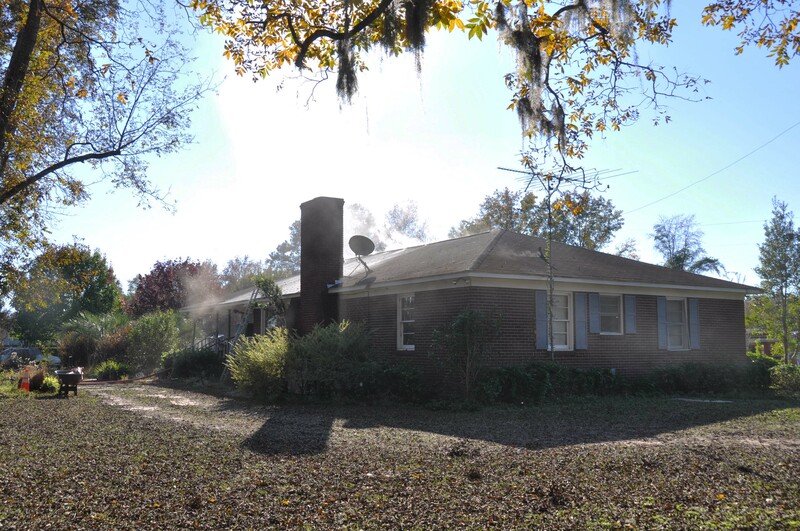 Stations 1, 12, 19 and 27 responded to a single family dwelling fire at 118 David Street in Eastside Acres at 1117, Sunday morning 15-November. Engine 19 arrived within five minutes, to find heavy smoke conditions throughout the structure with fire blowing out of a window on the “B” side of the structure. Firefighter-Paramedics deployed an 1-3/4 handline, entering through the front door and found the fire in the rear dinner room. Click here for more information. 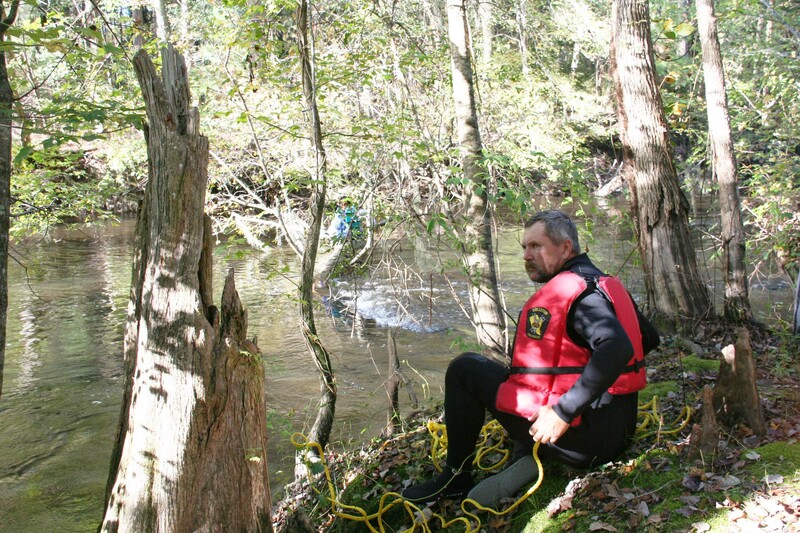 Stations 5, 19 and 27 responded to a river rescue on the Edisto River in the 900 block of Sandy Landing Lane at 1417, Saturday 14-November. Two canoers found themselves in trouble after encountering swift waters in a narrow portion of the river. As they rounded a bend, they ran into a tree that had fallen across the river, blocking their passage. As the canoe became entangled in the tree limbs, it began to capsize, dumping the male subject into the water. Click here for more information. 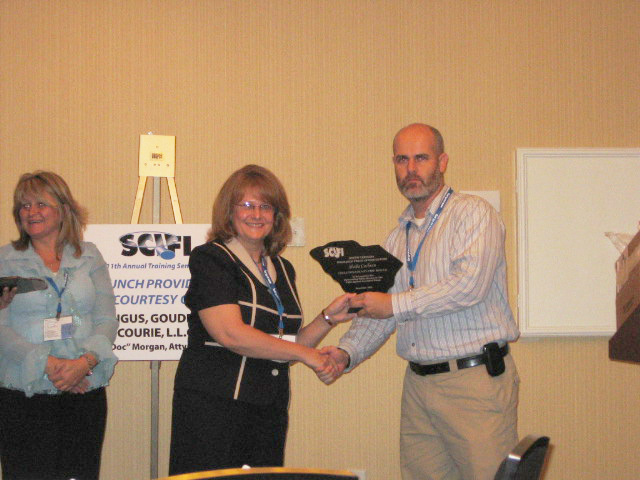 The South Carolina Insurance Fraud Investigators honored Fire-Rescue Billing Manager Shelia Cochran for Outstanding Public Service on Monday, 09-November at their annual conference. 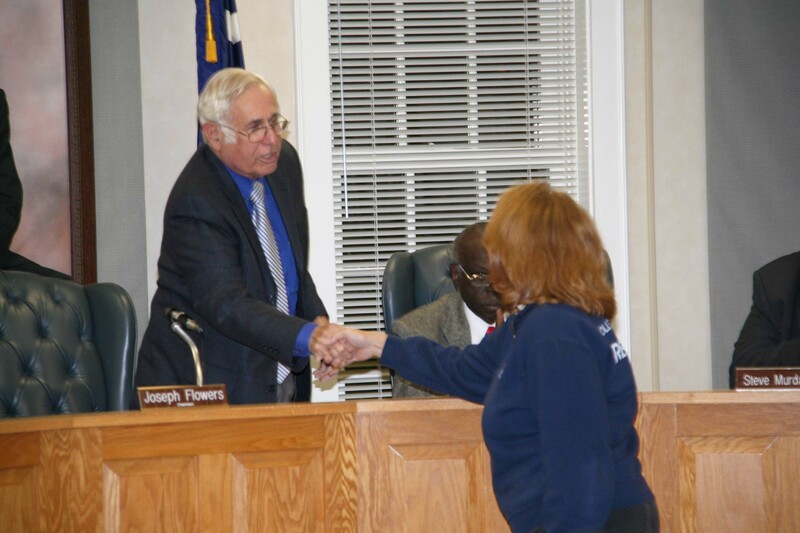 Ms. Cochran was invited to the conference which was held in Mount Pleasant November 8 through 10. In addition to receiving the award, she served as a panelist, speaking on the detection of the criminals and our agencies part in the investigations.... click here for more information. 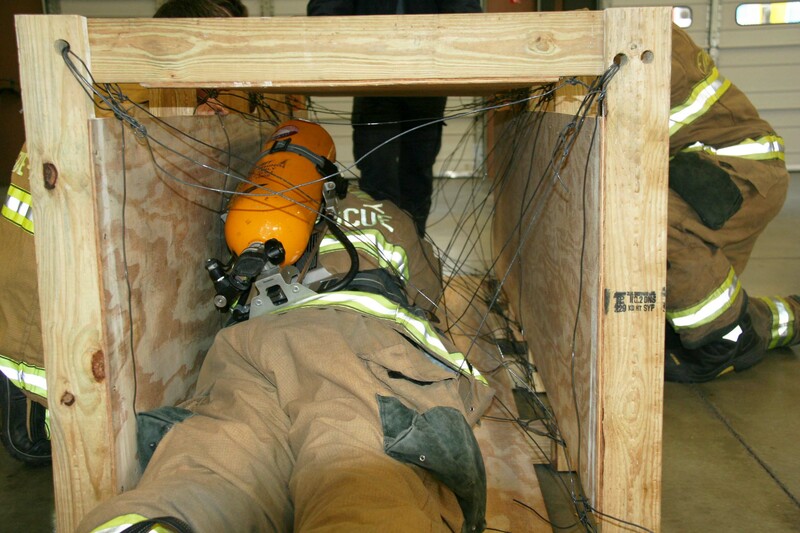 On November 12 & 13, 2009, Fire-Rescue personnel participated in rapid intervention training at Station 19. The training was taught by Captain Scott Feather, Battalion Chief Marty Stallings and personnel from Saint Andrews Fire Department. The course consists of classroom instruction as well as intense hands on evolutions. Personnel are taught how to free themselves from a variety of hazards. Click here for more info. Click here to view information about the upcoming South Carolina Stingrays Salute to Heroes Hockey Event. 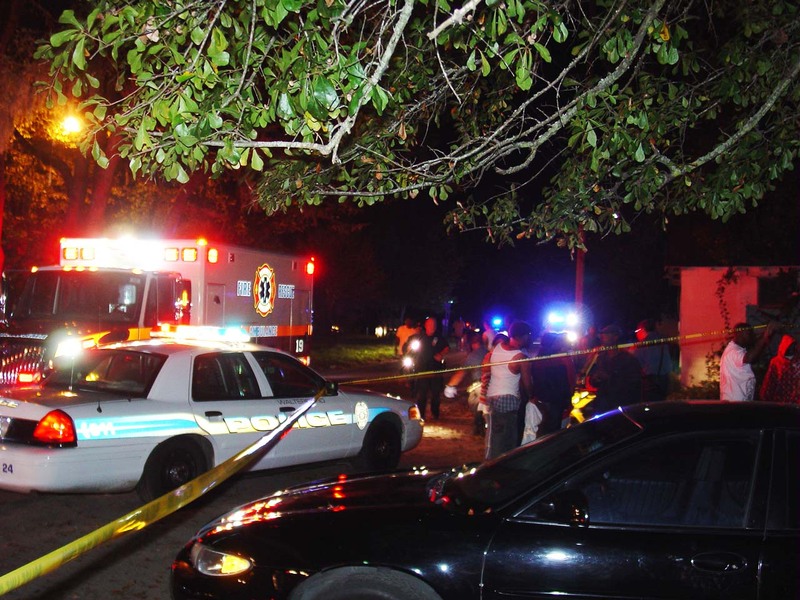 Stations 1, 9, 19, 26 and 27 responded to a multiple fatal shooting incident on the corner of McDaniel Street and Gerideau Street at 2214, Monday 9-November. Witnesses noted someone opened fire at a residence on the corner injuring at least nine people. Four of the victims were taken from the scene in a private auto directly to Colleton Medical Center about 2-1/2 miles from the scene. Emergency crews arrived within five minutes to find a chaotic scene. One victim was deceased, while another suffered critical injuries. Click here for more information. 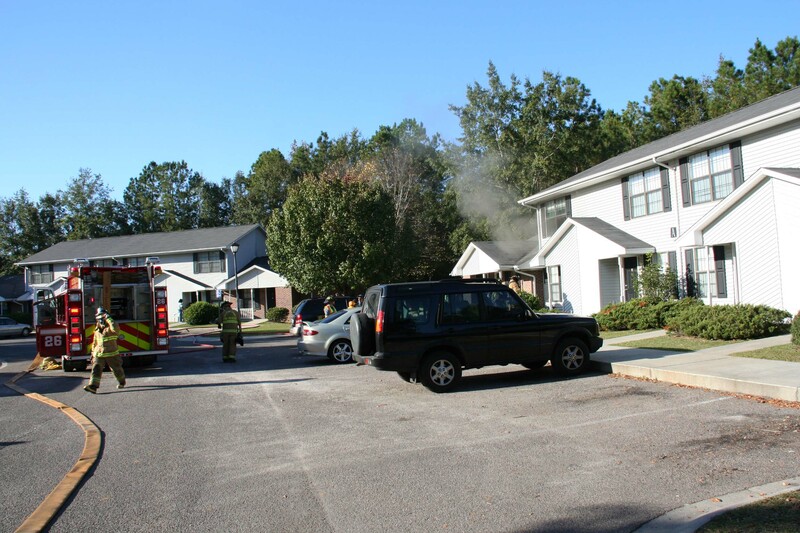 Stations 5, 19, 24, and 26 responded to a structure fire at 118 Shotgun Trail at 1250 Monday 9-November. 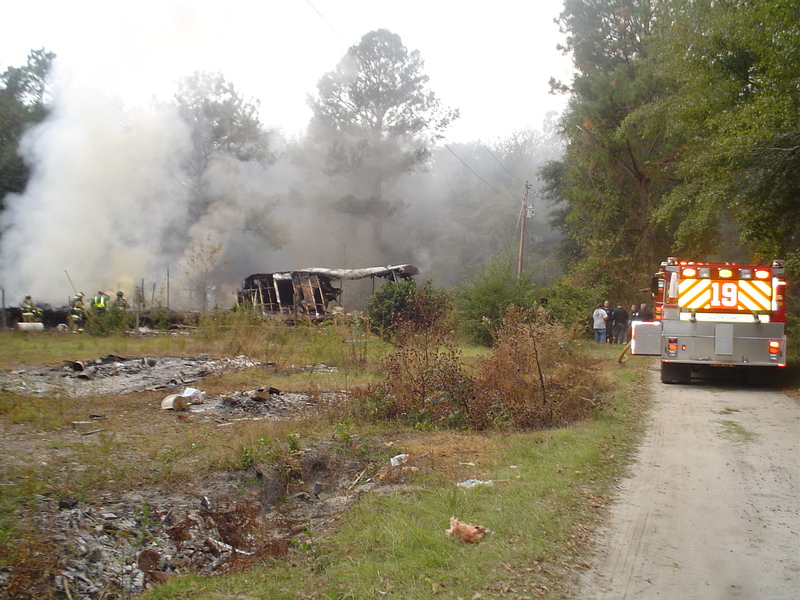 Engine 19 arrived seven minutes later to find a singlewide mobile home that was fully involved with partial collapse. According to the owner, the building was being demolished. Firefighters used two 1.75" handlines to extinguish the fire. The service power line to the residence was down in the back yard and prevented firefighters from attacking that side of the structure. Click here for more info. Medic 27 found a septic tank at a residence in an most unlikely location, Saturday morning 7-November just before 0800. The crew had responded to a medical emergency at a mobile home on Smoak Road. After treating the patient and loading her in the ambulance, the unit turned around in the yard. The driver had asked the home owner the location of the septic tank, anticipating the U-turn in the yard..... click here for more information. 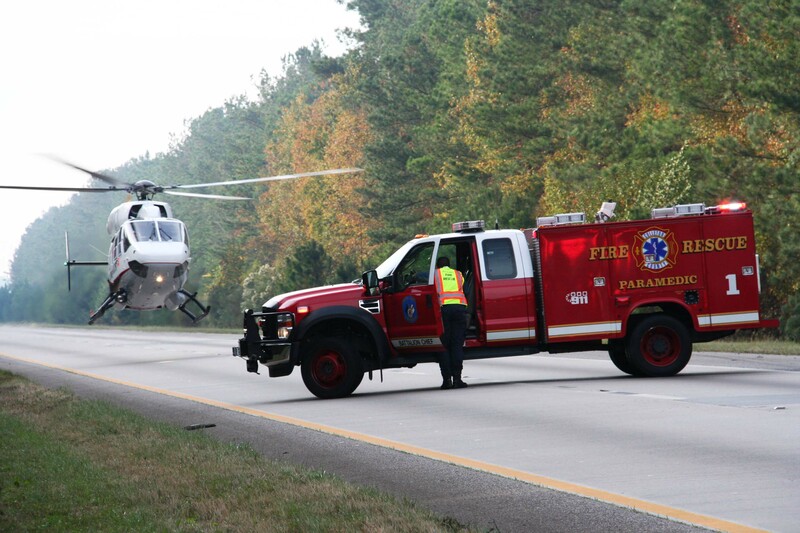 Stations 1, 26 and 27 responded to a high speed single car MVC on I-95 at the 61 mile marker southbound, Friday morning at 1033. 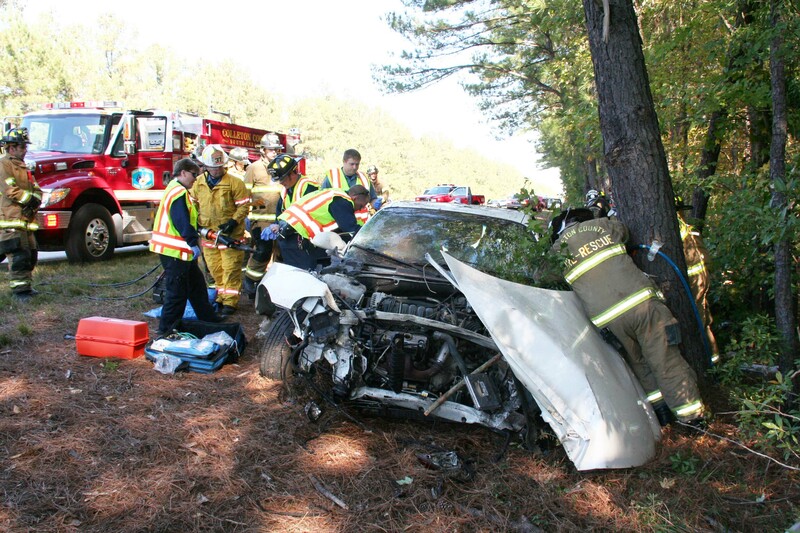 The elderly North Carolina couple lost control of their vehicle, struck several trees in the median trapping both the driver and front passenger in the wreckage. 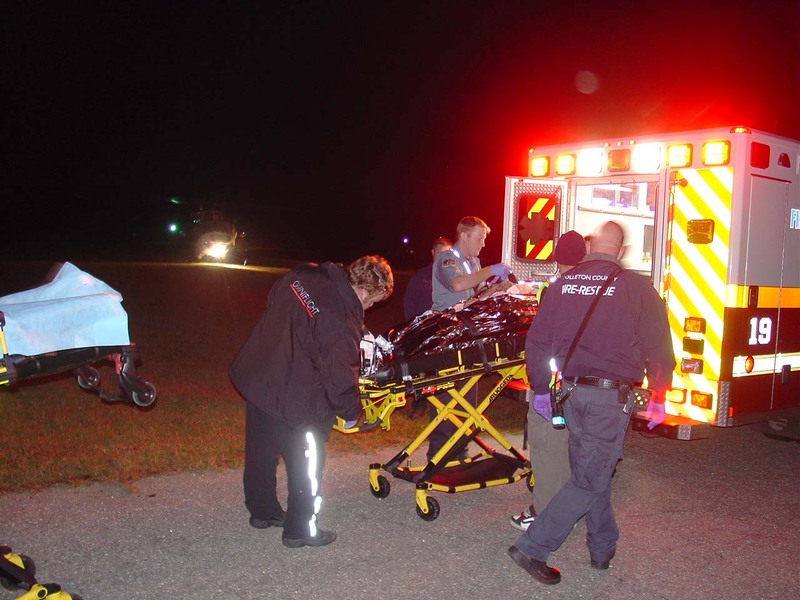 Crews from Station # 26 were on the scene within minutes and began treating the patients. Click here for more information. 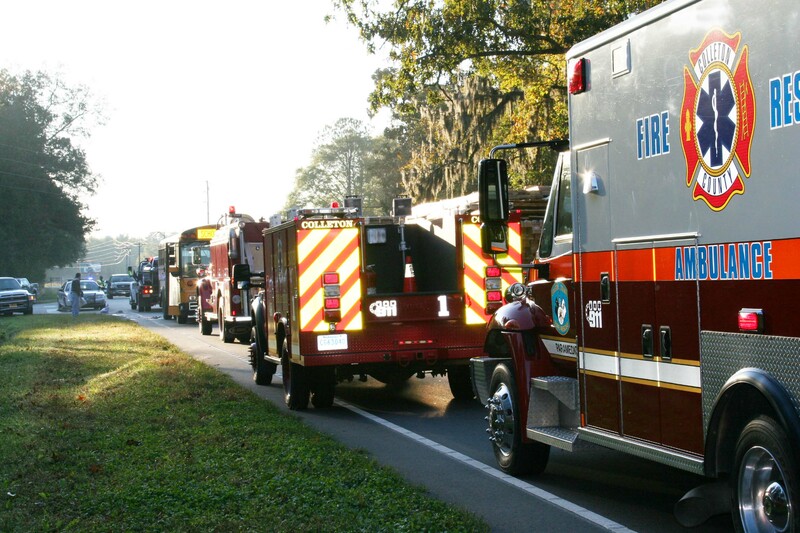 Stations 6, 12, 19 and 27 responded to a school bus and car accident on Charleston Highway just west of Featherbed Road at 0653 Friday morning 6-November. A small car traveling at a high rate of speed, apparently rear ended the stopped school bus. The car sustained heavy damage, but the bus only suffered minor exterior body damage. The impact broke some coolant and oil lines on the rear mounted engine.Click here for more info. Congratulations to Firefighter Brandon Broach for obtaining his National Registry Emergency Medical Technician-Basic Certification. County Council read a proclamation recognizing Fire-Rescue Billing Manager Shelia Cochran for her efforts in assisting with the prosecution of 32 individuals involved in the largest staged accident ring in SC history. Ms. Cochran recognized a pattern of abuse and began tracking and cross referencing names and addresses of individuals from various automobile accidents. Click here for more information. 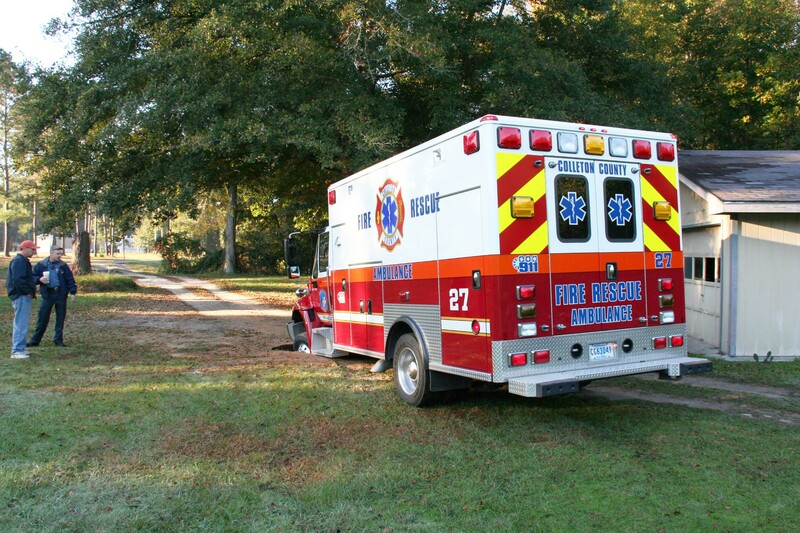 Station 9 responded to a four wheeler accident on Moss Creek Lane at the intersection of Freeman Lane Sunday morning 1-November at 1027. According to witness statements, a 27 year old male was “popping wheelies” when he lost control of the Suzuki 400 4-wheeler and crashed in the ditch. The man received a severe head injury resulting in unconsciousness following the accident. Click here for more information.